Playa de Palma holidays take you to a resort ten kilometres from the principle town of Palma, and sandwiched between C'an Pastilla and El Arenal. It lies very close to the airport and benefits from a short transfer time. 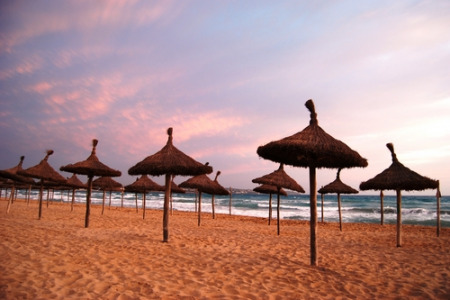 Holidays to Playa de Palma can be enjoyed from April until October when temperatures rise from twenty to the low thirties at the height of the season. This relaxed resort has a good sandy beach, washed by the clear warm waters of the bay, providing safe conditions for children and less confident swimmers. Unsurprisingly holidays in Playa de Palma are very popular with families. Water sports are available from the beach. Mini train runs between the three resorts so visitors have a wider choice of amenities. Hotels and apartments provide a good range of accommodation and because of this our cheap Playa de Palma holidays are considered great value. There is limited shopping but since Palma, with its plethora of shops, is only a short bus ride away, this is of no concern.